In 2012 and 2013, the then World Champion Viswanathan Anand traveled to Los Angeles to teach at the annual Metropolitan Summer Chess Camp, sharing his unique insights with some of the top scholastic talents in the U.S. In this first volume, Anand analyzes three high-level games that take place within the Sicilian Defense. By focusing on thematic plans, concepts, and motifs, Anand familiarizes the viewer with the most important ideas of any opening, middlegame, or endgame. Anand’s long-lasting love for the game can also be felt as he enthusiastically presents the most beautiful variations in each game. . This collection of best games of Smyslov is probably the best collection of his annotated games in Descriptive Notation. 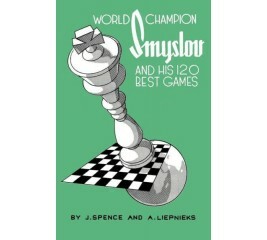 This book was first published in 1958, the year that Vassily Smyslov was World Chess Champion. 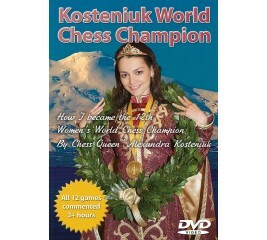 Exclusive DVD with over 3 hours of commented games and movies by the 12th World Chess Champion in the history of Chess Alexandra Kosteniuk. Every single game she played in Nalchik to win the World Title commented in detail in her own voice. 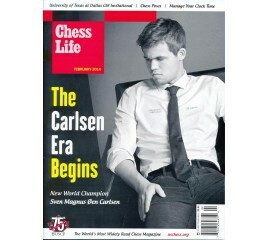 The February 2014 issue of Chess Life looks at the Carlsen era, analyzing his rise to the World Champion title, examing key games and moves throughout his career. Other articles also include strategically using your chess closk, chess playing postures and more in this issue of Chess Life! The Champion: Garry Kasparov, Seemingly invincible, but showing signs of some frailty when bombarded with ideas from the young generation of players. Could he yet again stamp his authority on the chess world, and snuff out the hopes of another young pretender? The Challenger: Vishy Anand, Calm and modest away from the board, but renowned for his sharp, lightning-fast chess. Could the young Indian topple the giant? 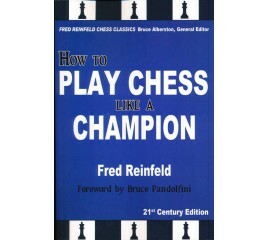 Whenever any grandmaster of chess is asked the question “Which chess book helped you the most” or “To what book do you most attribute your success”, the answer is almost always the same. 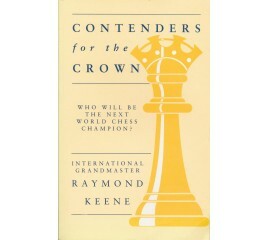 All or almost all grandmasters say there is one book that stands above all others in leading to success over the board. 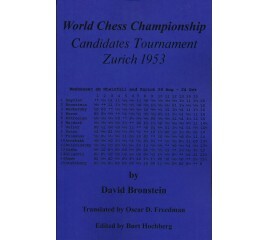 The name of that book is: International Grandmasters Chess Tournament Zurich 1953 by David Bronstein, which is reprinted here under the more commonly used title of World Chess Championship Candidates Tournament Zurich 1953. The great popularity of the Petroff Defence at the highest level has attracted general attention lately. Many strong players employ this opening with great success and with both colours. Now, for the first time, every one of his 736 tournament and match games is presented with insightful explanations and analysis. 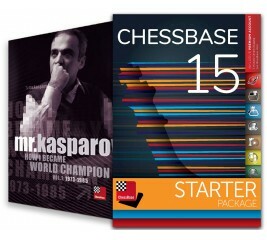 Best-selling chess author, German International Grandmaster Karsten Muller, annotates each game of the player many believe to be the greatest of all time. The Definitive Work of the Great Match. A Comment And Diagram After Every Move. 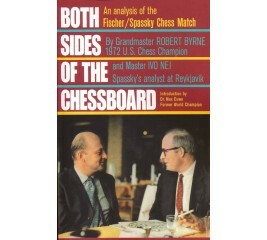 This is the most complete book on the Match for the World Chess Championship between Bobby Fischer and Boris Spassky. For every move, there is a diagram and an explanation of the reasons for the move. 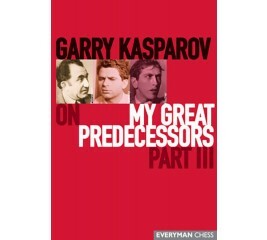 This new version of this timeless classic includes a new introduction, which includes comments and revelations by leading Soviet Grandmasters concerning the match and its outcome. 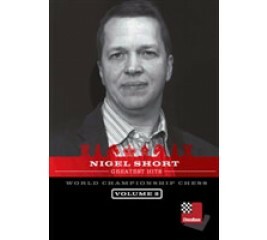 If you're looking for the ULTIMATE COLLECTION of World Championship Games, Look no further than this two-book collection from McFarland Publishing. 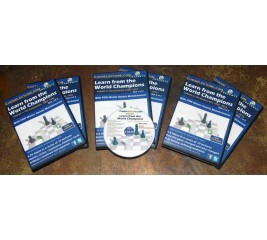 The best-selling A World Champion’s Guide to Chess is available again!! Winning Chess the Polgar Way! 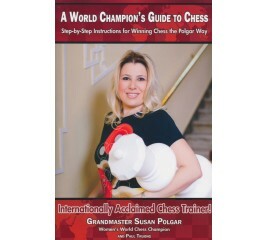 In A World Champion’s Guide to Chess, Women’s World Champion Susan Polgar’s exclusive training methods will have you playing winning chess! Topics include Chess Essentials, Tactics, Strategy, Pattern Recognition, Endgames, Chess Etiquette, Advice for Parents & Coaches and much more! 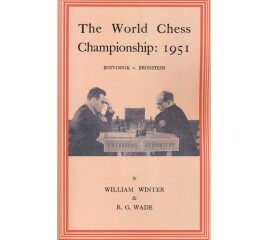 The official Chess Championship of the World was inaugurated with the 1948 tournament. 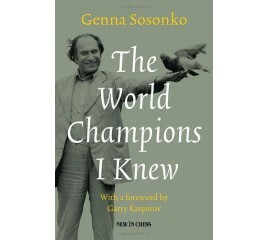 The legendary chess players that Genna Sosonko brings to life in this new collection of his acclaimed writing have one thing in common: Capablanca, Alekhine, Euwe, Botvinnik, Smyslov, Tal and Petrosian, they were all world champions. 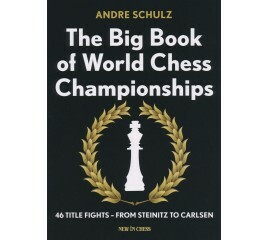 German chess journalist Andre Schulz tells the stories and the history of the World Chess Championship fights in fascinating detail: the historical and social backgrounds, the prize money and the rules, the seconds and other helpers, and the psychological wars on and off the board. World Chess Championship is the gripping story of one of the most controversial sporting events of modern times. 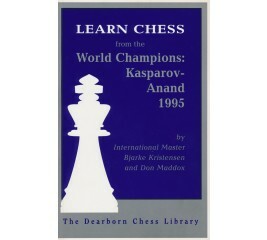 Learn Chess from the World Champions: Kasparov-Anand 95 is really two books in one. Part I is a red carpet treatment for new and casual players. 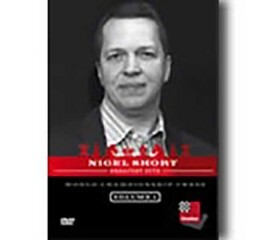 Former Chess Life editor Don Maddox takes you through a quick history of the World Chess Championship, including a survey of the personalities that have shaped the game. Part II analyzes eight previous Kasparov-Anand meetings and the games from Kasparov-Anand 95 with an eye toward building on the lessons learned or reviewed in Part I. 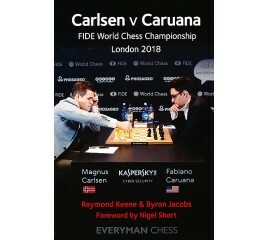 Including all games from the World Chess Championship Match, plus previous games between Anand and Carlsen and a ground breaking history of the World Chess Champions, including representative games by each of the 19 prior holders of the world title. 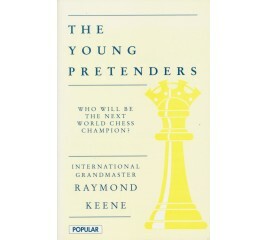 All annotated by Grandmaster Raymond Keene, OBE. 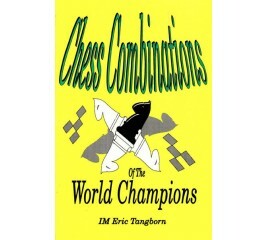 Includes 36 annotated chess games, 234 chess diagrams, plus puzzles and quizzes based upon the games of the match. The 1951 match for the World Chess Championship was exceptionally hard fought. Each player won 5 games and the remaining 14 games were drawn. 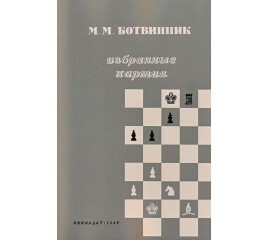 The match ended in a 12-12 tie and, under the rules, the champion, Botvinnik, retained his title. A new appendix has been added to the end of this book with all the games converted to Algebraic notation and the concluded diagram for each game. 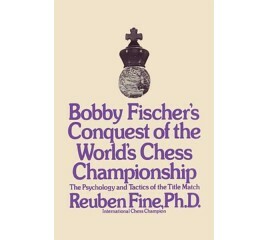 Reuben Fine was both one of the world's strongest grandmasters of chess and one of the world's leading authorities on psychoanalysis. In this book, he combines the two disciplines. 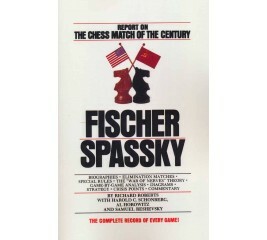 This Fischer-Spassky book is really three books in one. 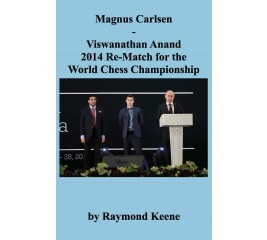 Including all games from the 2014 World Chess Championship Match, plus previous games between Anand and Carlsen. 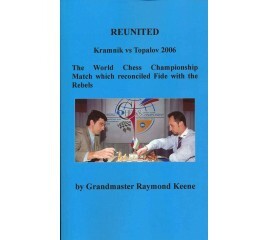 All games have been highly annotated by Grandmaster Raymond Keene, OBE. 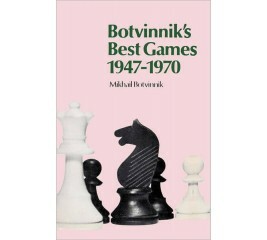 Back in the 1950s, it was Botvinnik who popularised the Exchange Variation of the Queen’s Gambit Declined. The setup, which involves putting the knight on e2 in combination with castling kingside, was revolutionary at that time. Until then, White had either placed his knight on f3 with the idea of s tarting a minority attack on the queenside, or on e2, where it was normally associated with the intention of castling queenside and preparing a pawn storm against the Black King. K asparov, Botvinnik’s pupil, would soon follow in his mentor’s footsteps, bringing yet further refinements to this flexible system. 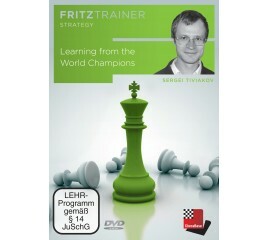 Learn chess from the best by studying the games of the latest world championship! The dramatic 2016 match defied all predictions. A top team of authors explains the strategies. 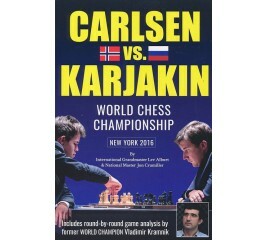 The dramatic 2016 World Championship match in New York City stunned the chess world, as Sergey Karjakin fought champ Magnus Carlsen to a tie until matters had to be settled in a rapid-play shootout. 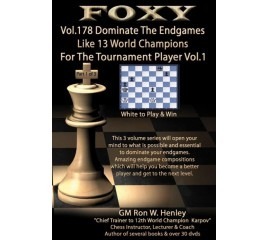 You’ll learn chess tactics and strategies from the best players in the world, as a top team of writers―including a former world champion--explains the moves. 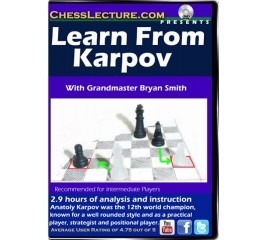 Founded in 2005 ChessLecture.com is one of the largest chess instructional libraries in the world. Our lectures are created and presented by Grand Masters, International Masters and National Masters and contain excellent instruction by experienced players for the chess enthusiast. 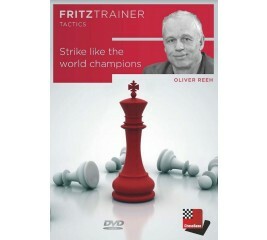 The Masters of ChessLecture give you a game by game presentation along with teaching moments from this historic match. In 1972, an epic chess match took place in Iceland between representatives of the two great super-powers of the world: Bobby vs. Boris. Boris was backed by the Mighty Soviet Union, with late night phone calls coming from his handlers in Moscow, telling him what his next move should be. 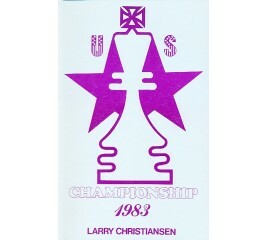 Fourteen of the highest rated players in the United States gathered in July 1983 to compose in a Round Robin tournament to determine the United States Chess Champion. 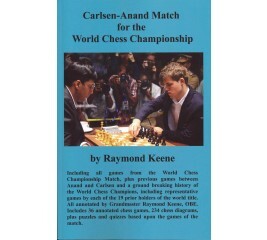 This is a round-by-round account of the event, with the scores of all of the games an annotations to the decisive games by the 1983 Co-Champion. This collection of lectures features lessons and brilliant examples of play from the 5 World Champions Fischer, Karpov, Kasparov, Kramnik, Anand.. Dennis takes us on a two game tour per World Champion of the modern era of chess spanning from 1972 to 2013.Content: Over 4.5 hours of instruction and analysis in a series of 10 lectures. Although chess styles have evolved greatly over the last hundred years, the insights from players of the Classical and Hypermodern eras are still the foundation of good chess play. 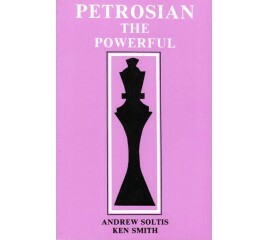 This collection features those lessons in brilliant examples of play from the 5 World ChampionsBotvinnik, Smyslov, Spassky, Petrosian, Tal. 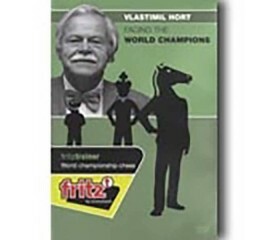 Dennis takes us on a two game tour per World Champion of the Soviet era of chess spanning from 1948 to 1972. Although chess styles have evolved greatly over the last hundred years, the insights from players of the Classical and Hypermodern eras are still the foundation of good chess play. This collection features those lessons in brilliant examples of play from the first 5 World Champions. 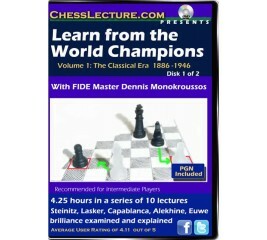 Dennis takes us on a two game tour per World Champion of the classical era of chess spanning from 1887 to 1946. 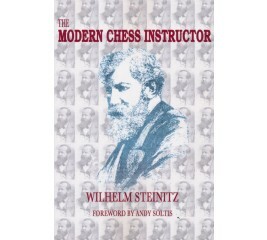 Although chess styles have evolved greatly over the last hundred years, the insights from players of the Classical and Hypermodern eras are still the foundation of good chess play. This collection features those lessons in brilliant examples of play from the first 15 World Champions. Dennis takes us on a two game tour per World Champion of the classical era through the modern era of chess spanning from 1887 to present day. The moment of death has the power to stress in a single move the achievement or the futility of a life. 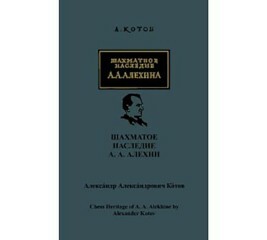 The death of Alekhine contains a paradox. If he had sought happiness, he found something different; if he had wanted fame, his name will live as long as chess is played. Boris Spassky is one of the greatest chess players in the history of the game. 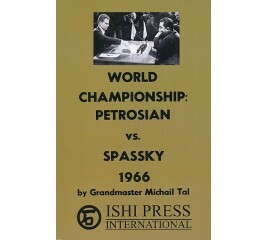 He was the World Champion for three years, after winning the title by beating Tigran Petrosian. His name is forever linked with his great rival Bobby Fischer and their epic 1972 ‘Match of the Century', which did so much to popularize the game throughout the world. 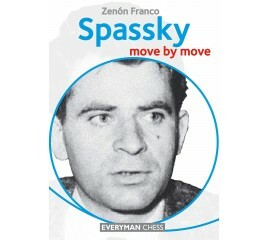 In this book, Grandmaster Zenón Franco examines in detail Spassky's chess style, selects and studies his favorite Spassky games, and demonstrates how we can all improve our chess by learning from Spassky's play. 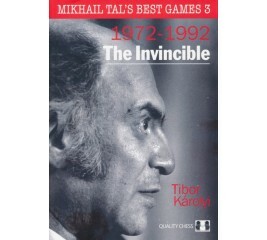 Mikhail Tal is a true legend of chess. He was the World Champion and also holds the world record for the longest unbeaten run in competitive chess. Tal is widely regarded to be the greatest attacking player of all time. Nicknamed ‘the magician from Riga’, Tal was a creative genius who made it look as though absolutely anything was possible over the chessboard. 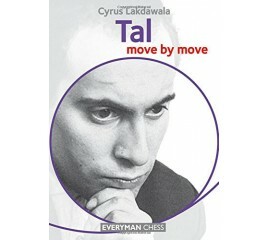 In this book, former American Open Champion Cyrus Lakdawala selects and examines his favourite Tal games, from the beginning to the end of his exceptional career. Lakdawala shows how we can all improve our chess by learning from Tal’s masterpieces. 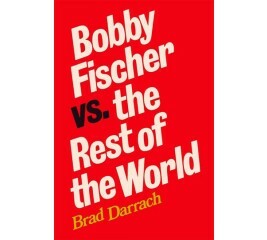 For people-watchers everywhere, Brad Darach uncovers the sometimes grotesque, often hilarious secret life of Fischer the Great. Through screaming tantrums, paranoid panics, greedy schemes, orgies of eating, desperate loneliness and magnificent courage he reveals sides of Bobby never seen before. 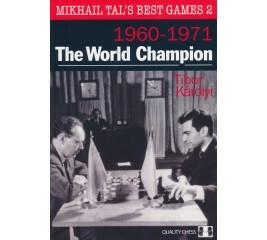 In this, the second of three volumes, award-winning author Tibor Károlyi continues his groundbreaking exploration of Tal's sparkling career. 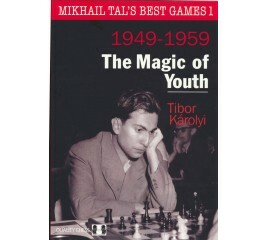 Mikhail Tal is oneof the most celebrated chess players of all time, and in 1960 he demolished Botvinnik to become the youngest ever World Champion at the time, at the age of twenty-three. Who Will Be the Next World Chess Champion? 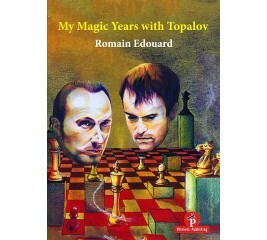 Contains the career details of many key players of chess, assessing their strengths and weaknesses. 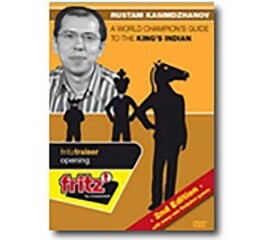 The book includes profiles of Vladimir Kramnik, Gata Kamsky, Judit Polgar, Michael Adams, Alexei Shirov, Viswanathan Anand and Vassily Ivanchuk. 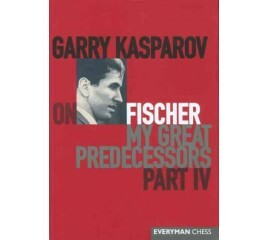 The distinguished author, himself a past world champion and President of FIDE, analyzes aspects of Fischer's play in comparison with previous holders of the title Alekhine, Botvinnik, Capablanca, Euwe, Lasker, Petrosian, Smyslov, Spassky, Tal. 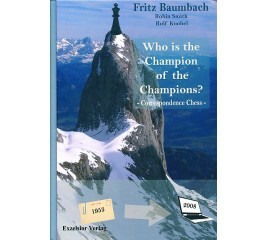 He examines the relevance of the respective ELO ratings of the earlier champions and provides more specific evidence for considering the true status of Fischer among the champions. Who will challenge Garry Kasparov for the World Chess Championship? This book will help you judge for yourself! 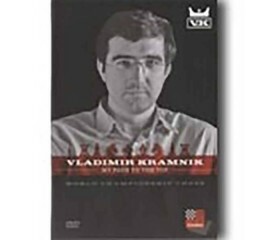 Vladimir Kramnik is a giant of the chess world. He firmly secured his legendary status when he won the World Championship in 2000 by defeating the previously dominant Garry Kasparov - the only player ever to do so in a match. Kramnik held on to his crown for seven years, and today he remains one of the World's elite players. 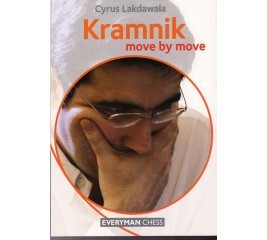 In this book, former American Open Champion Cyrus Lakdawala invites you to join him in a study of his favourite Kramnik games. 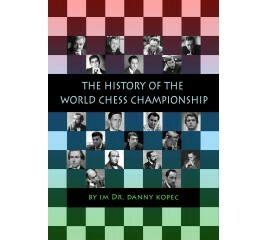 In this book, written from the ring side in New York and Lyons, the Grandmaster commentaries to all the games reveal the answers to these fascinating questions. 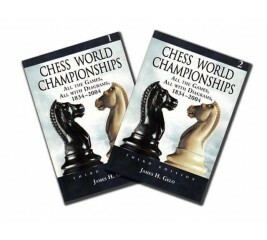 The "Chess Stars" series of books are for players of all standards. 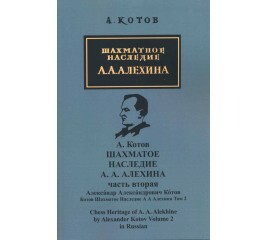 In each book all the games of a brilliant player are analyzed. 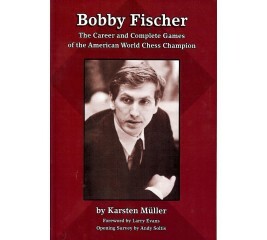 Bobby Fischer is a legendary chess figure, and many consider him to be the greatest chess player of all time. Fischer was a child prodigy who later developed into a phenomenal force. During his peak years he dominated his nearest rivals in a manner that had previously never been seen. 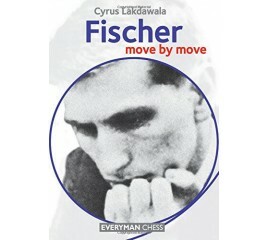 In this book, former American Open Champion Cyrus Lakdawala studies his favorite Fischer games. Lakdawala examines Fischer's renowned skills in attack, defense, counterattack, exploiting imbalances, dynamic elements, accumulating advantages and endgame play. Modern middlegame theory does not exist in written form. That is why players and trainers have to go back to the old recommendation by Nimzowitsch – to study typical positional methods. But who is better placed to teach us about their own powerful weapons than the great champions of the past? From GM to Top Ten continues the unique project where one of the greatest players of our time transforms her personal journey to the top into a roadmap for everyone who wanted to better themselves in the game of chess. In this volume, Judit tells the story of her rise from teenage grandmaster to Top Ten superstar.Judit Polgar has been ranked 1st on the Women's rating list from 1989 to this present day. In 2005, she became the only women in chess history to participate in the World Championship final. 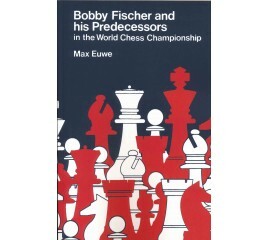 The previous volume, How I Beat Fischer's Record, won the 2013 ECF Book of the Year Prize. Meet the Masters contains the biographies of the eight strongest players in the world at that time. It includes their histories, photographs, games and an analysis and critique of their playing styles. Each of these eight players had been invited to the historic tournament at AVRO 1938, regarded as the strongest chess tournament ever held prior to modern times. The eight players generally regarded as the strongest in the world were: World Champion Alexander Alekhine, former champions José Raúl Capablanca and Max Euwe, future champion Mikhail Botvinnik and challengers Paul Keres, Reuben Fine, Samuel Reshevsky and Salo Flohr. One of the greatest books ever written about a world championship match. Take a trip with the Magician from Riga as he invites you to share his thoughts and feelings as he does battle for the world title. 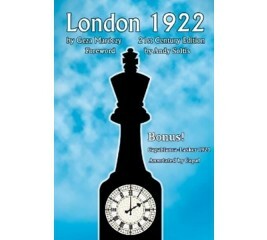 London 1922 is important for all these reasons, but it also served as the setting for the creation of the famous 'London Rules' which would for years govern the way in which prospective challengers to the title would have the right to play the champion. As an added bonus, all fourteen games of the 1921 Capablanca-Lasker title match - with annotations by Capa himself - have been added to this new 21st-century edition. 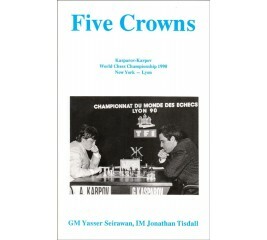 Five is the number of World Championship matches that Garry Kasparov and Anatoly Karpov contested from 1984 to 1990.Yasser Seirawan deeply analyzes each of the 24 games of the 1990 World Chess Championship . played in New York and Lyon. France. 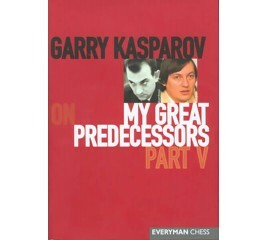 He answers all of the big questions, who was belligerent, who blew it and why.The final section gives all 158 tournament games played by Kasparov and Karpov, arguably the two best chess players who have ever lived. The games appear by opening, a far more useful arrangement for the chess student than the ordinary chronological presentation. 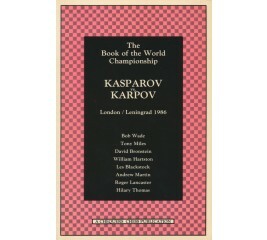 Between 1984 and 1990 Garry Kasparov and Anatoly Karpov contested five long matches for the World Championship. 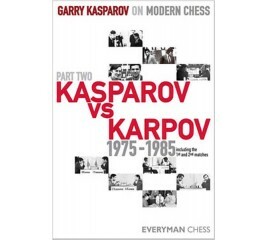 This fourth volume of the series 'Garry Kasparov on Modern Chess' concentrates on all the games played between the two from 1988 to the present day and features their fifth World Championship match played in New York and Lyon 1990. 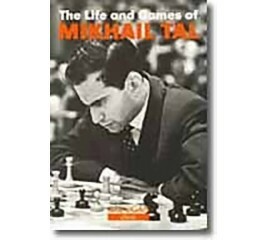 Mikhail Tal, the ''Magician from Riga'', was the greatest attacking World Champion of them all, and this enchanting autobiography chronicles his extraordinary career with charm and humor. 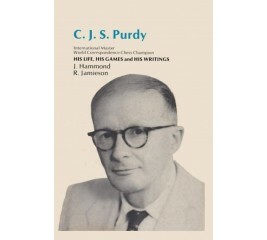 Dazzling games are interspersed throughout with anecdotes and witty self-interviews, and in typically objective fashion he relates both the ups and downs of his encounters. 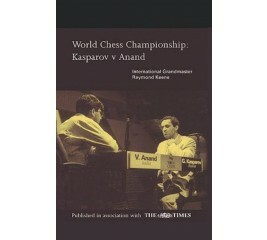 Garry Kasparov and Anatoly Karpov are unquestionably the participants who featured in the greatest ever chess rivalry. Between 1984 and 1990 they contested five long matches for the World Championship. 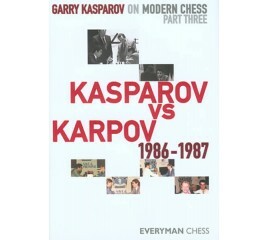 This 3rd volume of the 'Garry Kasparov on Modern Chess' series concentrates on the third and fourth matches in this sequence: London/Leningrad 1986 and Seville 1987. Both matches were tremendously exciting and hard fought and both produced chess of an extremely high level. 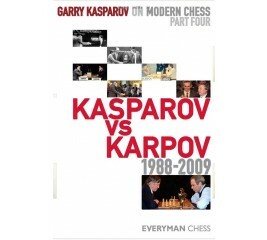 This book is the first in a brand new series that follows on from My Great Predecessors and sees chess legend Garry Kasparov reflecting on a pivotal time in chess history. 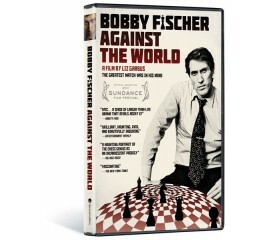 Bobby Fischer's spurt towards the chess summit (1970-1972) marked the approach of a new era affecting all aspects of the game and opening theory in particular. This volume concentrates on the first two of those matches. 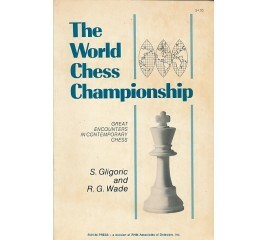 The epic 1984/85 contest which was lasted six months before being controversially halted ''without result'' by the then President of FIDE Florencio Campomanes. The 1985 match when Kasparov brilliantly won the final game to take the title and become - at the age of 22 - the youngest ever world champion. Great chess contests have often had resonances extending beyond the 64 squares. 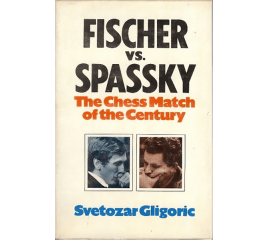 The Fischer v Spassky match was played during the Cold War with both champions being perceived as the finest products of their respective ideologies. The battle for the World Chess Championship has witnessed numerous titanic struggles which have engaged the interest not only of the chess enthusiasts but of the public at large. The chessboard is the ultimate mental battleground and the world champions themselves are supreme intellectual gladiators. 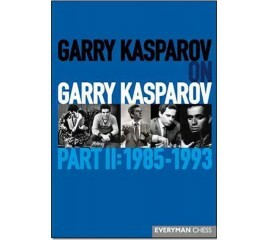 This magnificent compilation of play from the 1960s through to the 1970s forms the basis of the third part of Garry Kasparov's long-awaited definitive history of the World Chess Championship. Garry Kasparov, who is universally acclaimed as the greatest chessplayer ever, subjects the play from this era to a rigorous analysis, the examination being enhanced by the use of the latest chess software. 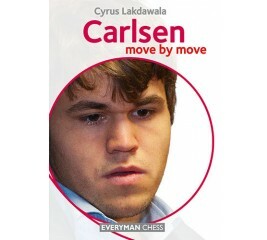 This book brings together the two greatest names in the history of chess. 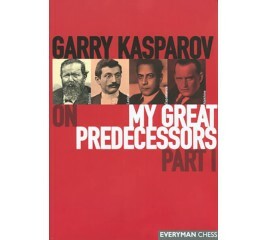 The author, Garry Kasparov, is the world number one and, by common consent, the greatest player ever. 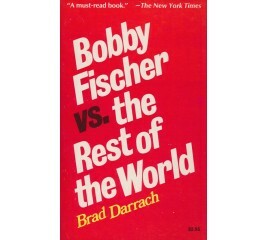 The subject of the book, Bobby Fischer, is the only American to have become world champion and is probably the greatest natural talent the world has ever seen. 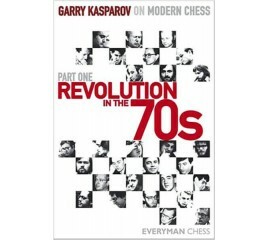 This book, the fifth in Garry Kasparov's magnificent history of the World Chess Championship, catalogues the ''post-Fischer'' period in the 1970's and early 1980's. This period was dominated by Anatoly Karpov (world champion from 1975-1985) and his three-time challenger, Viktor Korchnoi. Anatoly Karpov gained the right to challenge Bobby Fischer for the world title by winning through the Candidates series in 1974. 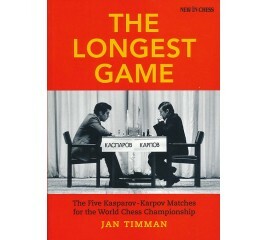 As is well known, Fischer refused to defend the title and in 1975 Karpov became champion by default. 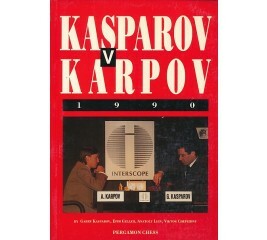 Although he did not have to contest a Championship match to gain the title, Karpov proved that he was a worthy champion by winning virtually every major tournament over the next decade. The battle for the World Chess Championship has witnessed numerous titanic struggles which have engaged the interest not only of chess enthusiasts but also of the public at large. The chessboard is the ultimate mental battleground and the world champions themselves are supreme intellectual gladiators. 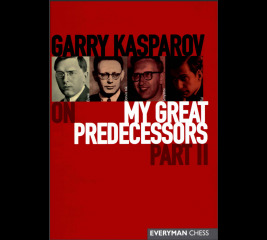 These magnificent compilations of chess form the basis of the first two parts of Garry Kasparov's work on the history of the World Chess Championship. The battle for the World Chess Championship has witnessed numerous titanic struggles that have engaged the interest not only of chess enthusiasts but of the public at large. The chessboard is the ultimate mental battleground and the world champions themselves are supreme intellectual gladiators. By one of America's best players of the 1930's-40's and a world renown ''Romantic''. His pre-game comments and annotation of all games will delight you. The long introduction tells of how Santasiere is going to share the joys of one of the greatest chess artists of all time with us. 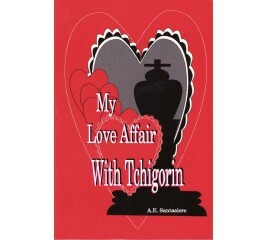 He then encourages us to play romantic, fighting chess like Tchigorin, instead of unoriginal chess. 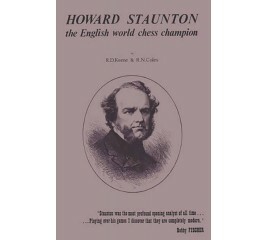 This book could certainly be recommended for the Romantic chess player. 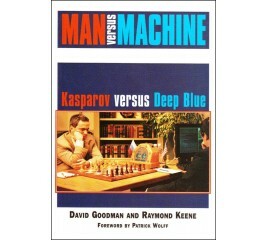 This book tells the full story of this historic encounter, from the personalities, hype and controversies to the debates over computer intelligence and the future of chess. Every game is analyzed in detail and the earlier 1989 and 1996 matches between the two contestants are reviewed. 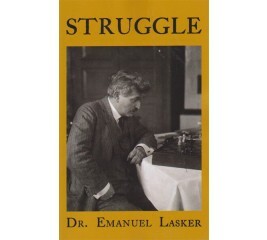 Lasker's book delves deeply into all phases of life and struggles. He attempts to create a general theory of all competitive activities, including chess, business and war. 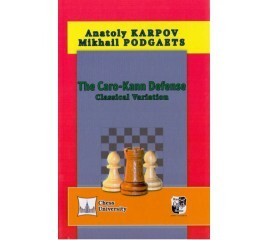 For more than thirty years Anatoly Karpov has been wholly committed to the Classical Variation of the Caro-Kann at top tournaments, including world championship matches. This publication focuses on the currently most popular system of the Caro-Kann (1. e4 c6 2. d4 d5 3. Nc3 de 4. Ne4 Bf5). 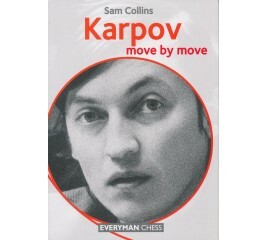 Once you crack open this book you'll explore the path taken by Karpov and Podgaets, step by step, move by move. This is the path of groundbreaking discoveries and stunning victories. 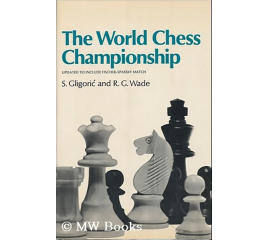 In chess literature, there have only been a very few chess books that have immediately-and permanently-established themselves as classics. 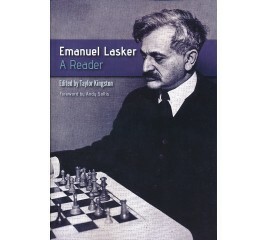 Lasker's Manual of Chess by Emanuel Lasker, Masters of the Chessboard by Richard Reti and Dvoretsky's Endgame Manual by Mark Dvoretsky are three that come to mind. 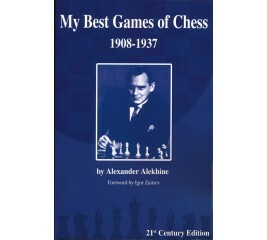 There are of course others, among them My Best Games of Chess, 1908-1937 by the fourth world chess champion, Alexander Alekhine. 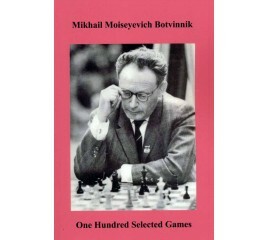 Botvinnik One Hundred Selected Games is a direct translation in Descriptive Notation of a book in Russian published in Leningrad in 1949. 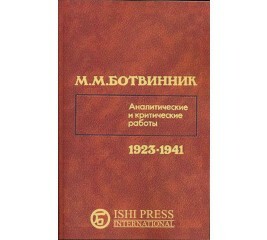 Unlike most other cases where the translator takes some liberties, we have not been able to find any differences in the text between this translation and the original in Russian. 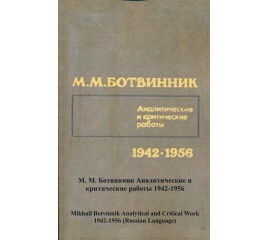 Mikhail Moiseyevich Botvinnik was born on August 17, 1911. In 1931 at the age of 20 he won his first of six Soviet championships. He won the World Chess Championship in 1948 and held the title with two breaks until 1963. 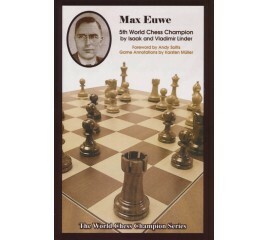 This book covers the most important period of his career from the time he played in his first serious chess event until just before his winning the World Chess Championship in 1948. 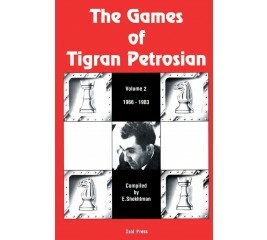 This is the second volume of a two-volume work on the games of Tigran Petrosian. 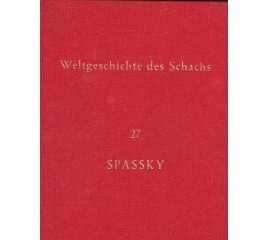 The first volume has his games from 1942 to 1965. 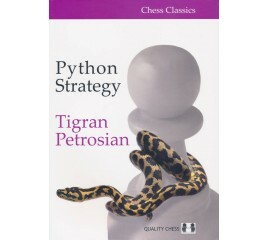 Tigran Petrosian was World Chess Champion from 1963 to 1969. He became the first player in the modern era to win a match to defend the world chess title, by defeating Boris Spassky in a match in 1966. The World Chess Championship Match 1972 The chess match of the century has finally taken place and chess masters throughout the world have already agreed that some of the games are among the greatest that have ever been played. 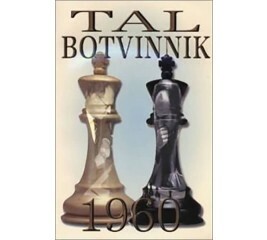 This book covers the entire period when Botvinnik was World Chess Champion. 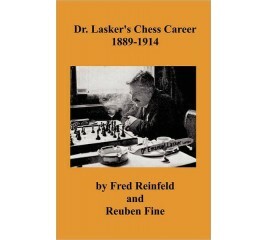 Dr. Lasker's Chess Career 1889-1914 has become a rare book, almost impossible to obtain. I bought the book used for this reprint from a collector of rare books in Denmark. 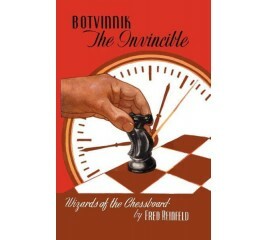 Botvinnik the Invincible was written in 1946, two years before Botvinnik won the World Chess Championship. The fact that it accurately predicts the ultimate victory by Botvinnink is itself significant. 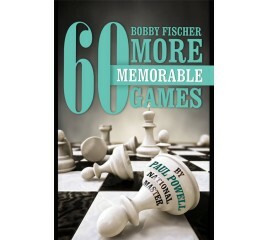 National Master Paul Powell explores the games of Bobby Fischer from a unique point of view. Focusing on his own personal journey and taking up the mission statement of his bestselling book “Chess Patzer to Master - How an Everyday Joe Does it” he continues the battle to help the average player become a chess master. The French Defense is all the rage these days, and there are plenty of books examining the opening from Black's point of view. 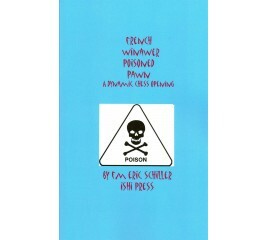 This book is a reaction from the other side. 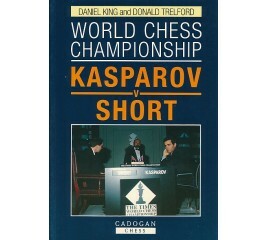 Following the split with FIDE when World Chess Champion Garry Kasparov defended his title in a match with Nigel Short in 1993 outside of FIDE, there had been two world chess champions, the “Classical Champion” who had won his title by defeating the current champion in a long match, and the FIDE World Champion who had won one of the World Championship tournaments organized by FIDE. An analysis of the 1972 World Championship Chess Match from both sides of the chessboard - a Russian and an American analysis. 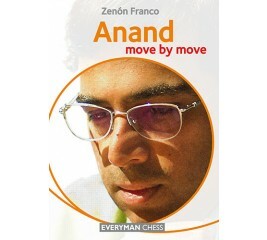 In this book, Grandmaster Zenón Franco examines in detail Anand’s chess career to date. He selects and studies his favourite Anand games, and demonstrates clearly how we can all improve our chess by learning from Anand’s play. 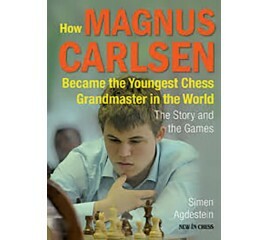 Despite his relatively young age, Magnus Carlsen has already secured his place in chess history as a legend of the game. In a short space of time his accomplishments have been extraordinary. In December 2012 he broke Garry Kasparov’s record to become the highest-rated chess player of all time. 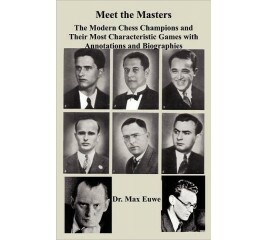 This is essentially a book on chess history, showing how different styles of chess play became popular and flourished and then faded in popularity, such as for example the Hyper-Modern Style of play that became ''All the Rage'' in the 1920s and 1930s. 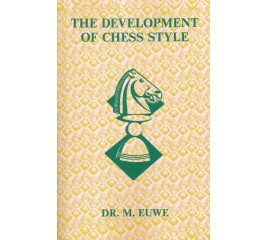 Through an introduction that explains how the ordinary chess player can improve in the various phases of the game of chess, and in enlightening commentaries far more extensive than space permits in an ordinary annotated game, former World Champion Dr. Max Euwe shows how a chess player should think, by indicating the moves for all but the most obvious moves of each game. 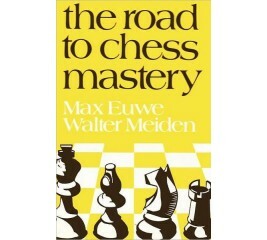 By applying what he learns in this work the reader may, indeed, find himself traveling the road to chess mastery. 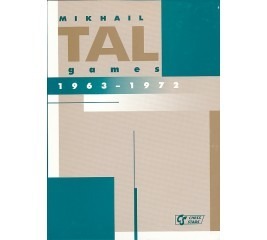 This book covers the final two decades of Tal's life and games, from 1972 until his death in 1992. 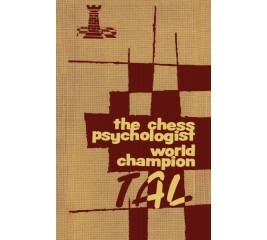 Despite being more than a decade removed from his world title reign, the early 1970s saw Tal rewrite chess history with two record-breaking unbeaten streaks. Other highlights include victory in the Montreal 1979 Tournament of Champions, and winning the World Blitz Championship in 1988. 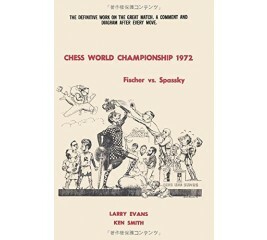 In this book Chris Ward critically examines Morphy's style, strengths and weaknesses- the first time that a contemporary Grandmaster has so systematically appraised Morphy's games in the context of the modern understanding of chess. 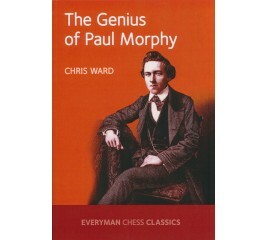 Ward recounts many curiosities (such Blindfold Exhibitions, for which Morphy was famous), and there is a special chapter devoted to Morphy's most dramatic miniatures. 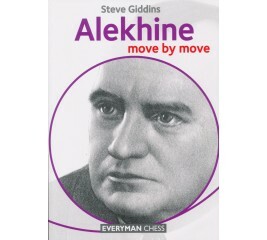 In this book, FIDE Master Steve Giddins invites you to join him in a study of his favorite Alekhine games, and shows us how we can all learn and improve our chess by examining Alekhine's masterpieces. 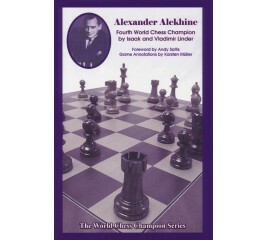 The fourth title in the popular World Chess Champion Series is about the enigmatic Alexander Alekhine. 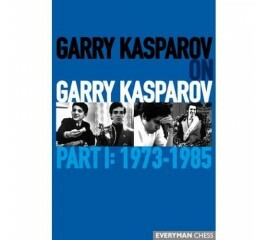 Tracing the Russian-born champion from his youth in Russia, through his assault on the chess Olympus and beyond, this books paints a fresh portrait of man who was one of the most spectacular tacticians ever to play the game. Anatoly Karpov is considered by many to be one of the greatest chess players of all time. He was the undisputed World Champion from 1975 to 1985, and also FIDE World Champion from 1993 to 1999. He was ranked the World’s number one player for 90 months – second only to his greatest rival Garry Kasparov – and he won well over a hundred elite tournaments. Karpov possessed a deep positional understanding of the game and a fabulous intuitive feel for positions. 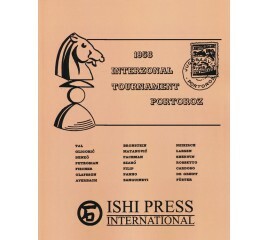 The 1958 Interzonal Chess Tournament in Portoroz was one of the most important and strongest tournaments in chess history, and is still regularly discussed in chess circles today. This is the tournament where the 15-year-old Bobby Fischer earned the grandmaster title and first became a contender for the World Chess Championship. It is also the tournament where Mikhail Tal finally got his first chance to compete in a grandmaster tournament outside of the Soviet Union, and started one of the longest non-losing streaks in chess history on his march to the World Chess Championship. 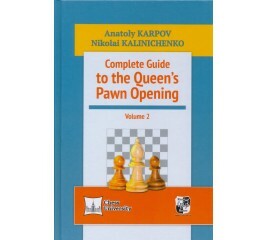 The second volume of the Complete Guide to the Queen's Pawn Opening is devoted to the London Variation and openings named in honor of Zukertort, Torre, Colle and others. 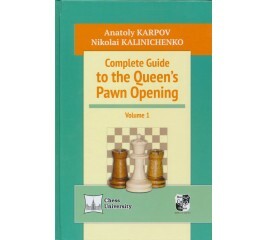 The first volume of the Complete Guide to the Queen's Pawn Opening gives a detailed high quality analysis of the Veresov Opening, the Blackmar-Diemer Gambit, the Levitsky Variation and other set-ups. Garry Kasparov is widely believed to be the best chess player in the history of the game. Kasparov’s accomplishments on the board are unparalleled, as the former World Chess Champion dominated the game with a fury that has not yet been matched. Aside from a powerful desire to win and fighting spirit, what really distinguished Kasparov’s play was the incredibly high level of opening preparation.